After serving in the US Navy, Qoni took residence in Orange County, California. Taking advantage of his newly acquired skills from the military and his love of fitness, Qoni quickly excelled into management in the corporate fitness world. 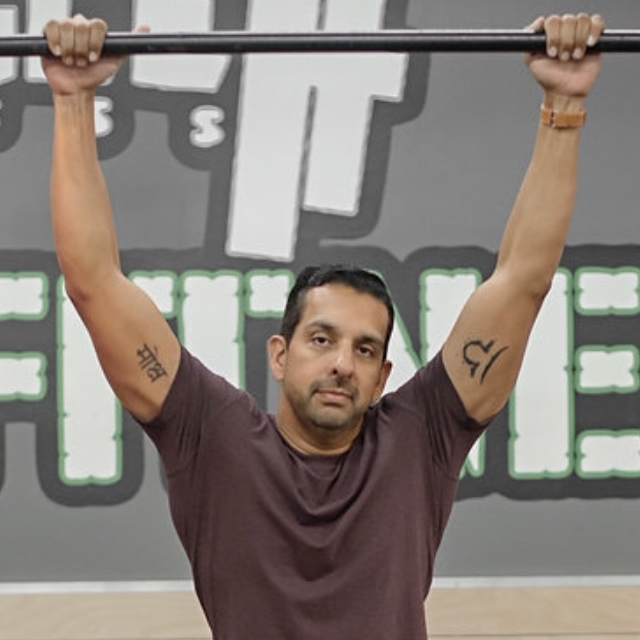 As a fitness manager for a corporate gym, he learned his passion was not in management, but in being a coach and mentor. Being in the fitness industry for several years, Qoni was introduced to Jon Jung through mutual friends. Together, they shared visions and ideas and realized that together they could achieve more. Qoni’s expertise is in Weight Loss and Body Fat Reduction, Lean Muscle Building, and Pre and Post Natal. He recently received his bachelors degree in art from the California State University, Fullerton. In his spare time, Qoni loves to paint, watch sports and hang out with his family and dog. [vc_row][vc_column][vc_column_text]Born and raised in San Francisco, California, Jon moved down to Orange County on an academic scholarship to attend the University of California, Irvine. As a student Jon, also worked as a pharmacy tech and an athletic trainer. There he studied Pre-Med and Business. His pre-med emphasis was on Biochemistry, Kinesiology, Sports Medicine and Nutrition. With the love for traveling the world, his business major was international studies with an emphasis on business management, marketing, finance and education. As soon as Jon graduated from UC Irvine in 2004, Jon pursued his dream to open his own fitness and health business. This passion sparked in 2002 when he competed in powerlifting then later bodybuilding, fitness model campaigns and men's physique. In 2007 & 2008 he was internationally recognized as Mr. Asia. He is nationally qualified in the National Physique Committee (NPC) in both bodybuilding and men's physique. He balances managing a business with spending time with family and friends, traveling the world and experiencing different cultures. [vc_row][vc_column][vc_column_text]Dale received a degree in accounting from the University of California, Riverside. He started his career as an accountant but soon realized that he needed more in his life. Eventually, he sought out a reference for a coach and personal trainer and a good friend of his referred him to Jungle Fitness. Dale immediately showed interest in competing and chose the Men’s Contest Prep Coaching program for himself. He was mentored by Jon Jung and has competed in over 5 regional and 2 national competitions. With the mentorship of Jon Jung, Dale switched careers and is currently one of our Contest Prep coach specializing in Lean Muscle Building and Weight Loss/Body Fat Reduction. In his free time, Dale loves to play the piano, ride his motorcycle, surf, and create videos.